Item consists of volume 14, issue no. 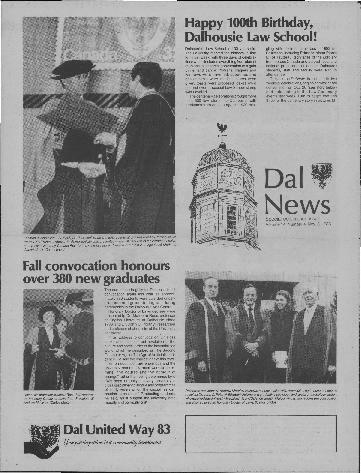 4 of the Dal News, dated Nov. 3, 1983. Includes photographs of the Fall convocation, celebrating the 100th birthday of the Dalhousie Law School.